Nelson Vails was the first African American cyclist to medal in the Olympics, making history when he won the Silver in the 1984 track sprint. Before his professional cycling career, he made his living as a bike messenger in New York, which earned him a role in the famed Kevin Bacon messenger movie Quicksilver. In short, he’s an awesome figure in cycling history. He’s also one of the featured athletes in a forthcoming documentary on African American cyclists called RIDE: In Living Color. Click here to read the recent interview with RIDE’s director Yolanda Davis-Overstreet. A few weeks ago, a teaser for a Nelson Vails documentary was posted on youtube by user stephgauger1. It’s made the rounds on cycling blogs, but nobody seems to know who’s behind its production or anything about the film beyond the stated “2013” release date. In this day and age, a movie trailer without any accompanying information pretty much constitutes a mystery. But, a little Internet sleuthing reveals that stephgauger1 is Stephane Gauger. He is one of the two filmmakers involved in Cruzin’, about a ride former professional cyclist Tony Cruz did down the length of Vietnam. 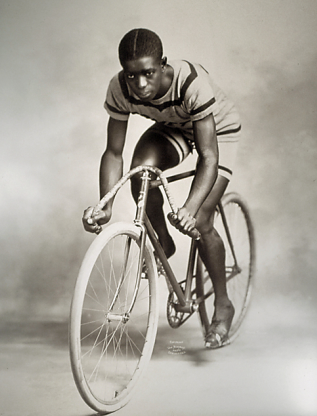 One of America’s earliest cycling stars and the very first African-American cycling star, Major Taylor is a sports legend. It is unsurprising given the sheer number of inspirational angles to his story. Taylor’s raw talent as a cyclist pulled him from abject poverty. He rose to fame as black man in Jim Crow America. He was breaking world records and became a world champion as a teenager. Taylor’s story is well documented in at least a half dozen books, a documentary film, and an Australian TV mini-series. 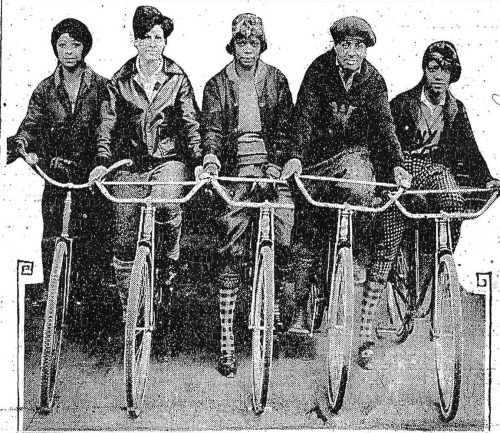 The Smithsonian’s Past Imperfect blog added to that collection with a well written, in-depth article covering Taylor’s childhood, introduction to cycling, rise to fame, the discrimination he faced, his impoverished final years of life, and more. Before his teenage years ended, Taylor became a professional racer with seven world records to his name. He won 29 of the 49 races he entered, and in 1899, he captured the world championship of cycling. Major Taylor was just the second black athlete to become a world champion, behind Canadian bantamweight George “Little Chocolate” Dixon, who had won his title a decade before. Taylor’s victory earned him tremendous fame, but he was barred from races in the South, and even when he was allowed to ride, plenty of white competitors either refused to ride with him or worked to jostle or shove him or box him in. Spectators threw ice and nails at him. At the end of a one-miler in Massachusetts, W.E. Backer, who was upset at finishing behind Taylor, rode up behind him afterward and pulled him to the ground. “Becker choked him into a state of insensibility,” the New York Times reported, “and the police were obliged to interfere. It was fully fifteen minutes before Taylor recovered consciousness, and the crowd was very threatening toward Becker.” Becker would be fined $50 for the assault.